Collect returns to London’s Saatchi Gallery from 28 February – 3 March 2019. 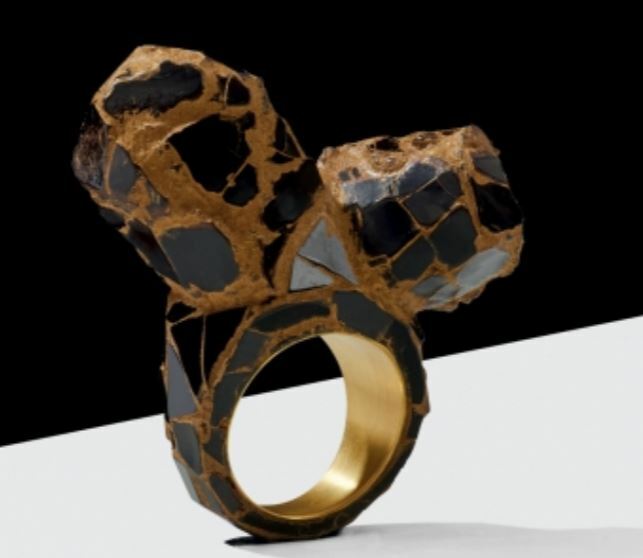 STONE OF KAMO RIVER RING BY KIMIAKI KAGEYAMA, REPRESENTED BY GALLERY S O. 300 YEARS OLD URUSHI, 20KYG, CINNABAR PIGMENT, FINE GOLD PIGMENT, EPOXY RESIN, 35×45×35 MM, £5,000. PHOTO: TONY HAY.